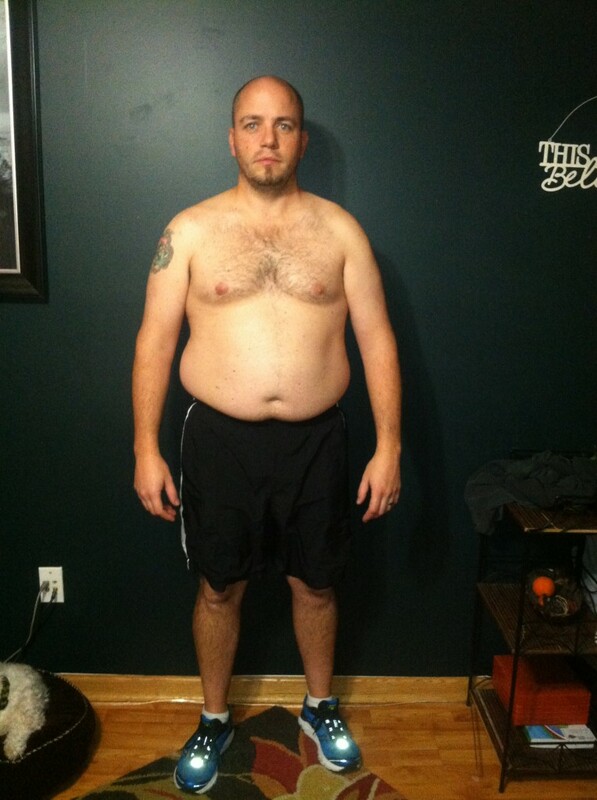 Early in 2012, my brother Keith began ranting left and right about his newest fitness fad…something called Crossfit. He began posting recipes that had no sugar, grain, dairy and, as far as I was concerned…flavor. I mean, really, brownies with no sugar…no flour? I cringed at the thought and teased him frequently about it. Fast forward 6 months…my brother visited us and I see first hand what this “fad” has done. He was fit, happy and confident. To be honest, I had been secretly looking into it, but was scared to death to even fathom the idea of walking into one of these…boxes??? During his visit, my brother convinces us how great Crossfit would be for our son, Dalton and his soccer game. Dalton is a soccer goalie and soccer is his one and only sport. While we agreed that this type of training would be great for his soccer game, we didn’t seriously consider it until a couple of weeks later. My brother messaged me after he attended a Crossfit Kids certification where he happened to run into Teri Lynn from Templar. After talking with her for a while, she convinced me to at least look into it. Dalton wanted nothing to do with it. I had to force him to go and watch a class (which Gretchen invited him to join and he declined). A couple of days later, he agreed to “try” a class…he was hooked. Every Tuesday, Thursday and Saturday Dalton attended the Crossfit Teens classes at Templar which Andy and I came along to watch with pride. Dalton was a quick learner and, since he has both of our competitiveness, it seemed like a perfect fit for him. Little did we know, Andy and I were both slowly becoming addicted to Crossfit as well. Jump forward 2 months…January, 2013. A new year, a new start, a new way of life had begun. We both began Crossfitting 3 days a week. Our bodies had never hurt so much, but we had never enjoyed exercising as much as we were. As shocked as we were by how much we loved the classes and the soreness, we were astonished by the people surrounding us. My brother had kept telling me, “Crossfit is more about community than it is the workouts”, but until I was fully submersed in exhaustion doing step ups on a 12 inch box and push ups from my knees with Swan sitting on her box (since she finished her WOD several minutes earlier) cheering me on that I understood what he meant. It wasn’t my competitiveness or my desire to be fit that kept me going until I finished that WOD, it was Swan. Instances like this repeated itself over and over again during the next few months and we were truly hooked. Andy and I were both athletes growing up. I played soccer, basketball and softball. Andy played competitive tennis. We were both competitive in everything we did…sports, board games, work…you name it, we wanted to be the best at it. While we certainly were NOT the best at anything when we started at Templar, we found those few things we felt confident with and worked even harder to become better. We slowly began changing our diet as we continued our journey. I was lucky enough to have a knack for cooking (part of the reason I weighed close to 250 pounds) and this new Paleo lifestyle challenged me to make some of our favorite meals, healthy and tasty. Also having the talent of photography helped me showcase my meals and recipes on Templar’s nutrition page on Facebook. Soon after, my good friend Paul Nobles Jr. began his Eat To Perform site and asked me to do a recipe blog. That recipe blog soon turned into a self therapy blog for myself and helped me face a lot of demons that I discovered many people shared. 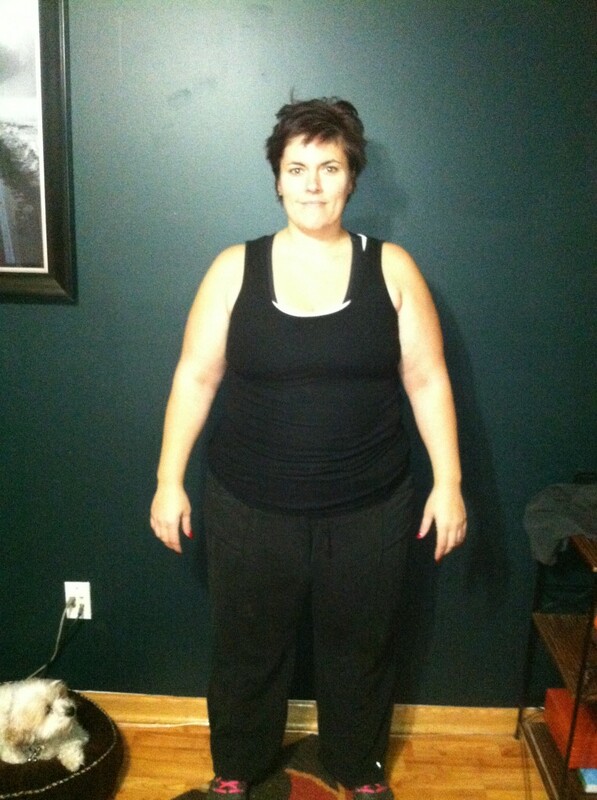 About 9 months after starting Crossfit, I participated in my first Paleo challenge. Andy had shoulder surgery on the first day of the challenge, so although he wasn’t an official Paleo challenger, he was also participating since he was eating what I was making. I felt great after that first horrid week and the 7 weeks following. I lost about 13 pounds (down to about 205 lbs) but didn’t win the challenge. My competitive side wasn’t happy about that, but I got over it. Andy was out of Crossfit for about 6 months after his shoulder surgery (injured from throwing a toilet into a dumpster, not Crossfit…) and his return to Crossfit was even more humbling than when we first began. His strength had diminished significantly and he was not happy about it. Luckily, the pressure of not going to Templar was worse than the humility of going. Just as many do, we fell of the wagon for a few months as the summer of 2014 rolled around. Cold beer and not so healthy food crept their ways back into our lives. Needless to say, when we heard a Paleo challenge was starting in September, we were relieved! This is just what we needed to get back on track. That joyfulness was soon overshadowed by my memories of that first week of Paleo. Once again, it was a ROUGH first week, but we kept at it. We were strict Paleo for our first month, cutting out all sugar, grains, dairy and alcohol. We began introducing some dairy, rice and alcohol back into our lives and added some running in to our workout routine. AndyShannon_After2Well, here we are…almost 2 years into our lifelong journey of fitness and health and we are both healthier and stronger than we have ever been. Since I joined Templar, I have lost 70 pounds but have gained so much more. I am confident, I am strong and I am healthy. I know that we have only begun our lifelong journey, but we are looking forward to this journey and spending it with the family we have gained at Templar. 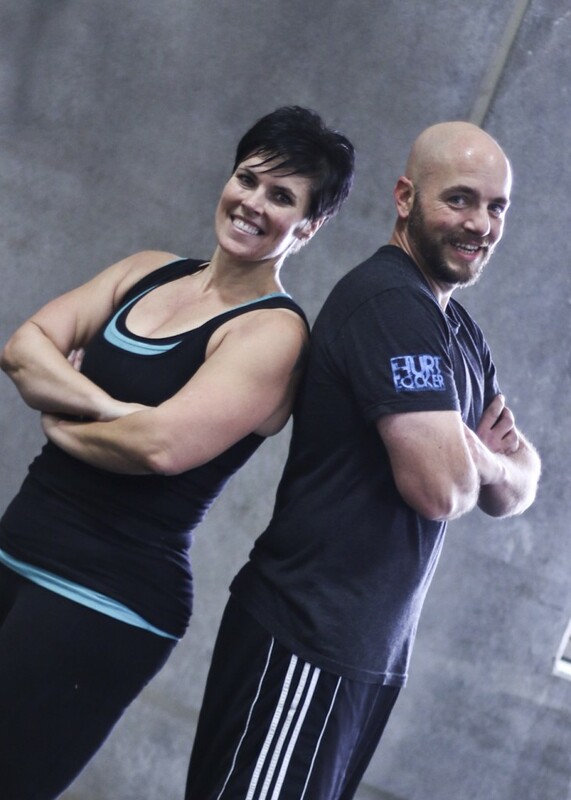 We cannot thank Sean and Gretchen for all they have done for our family by letting us be a part of Crossfit Templar and Crossfit Templar Teens. To all of the coaches at Templar…you are amazing, each and every one of you! You have each played animportant role in our lives and we cannot thank you enough! To our Templar family…you are what keeps us going, physically and mentally. 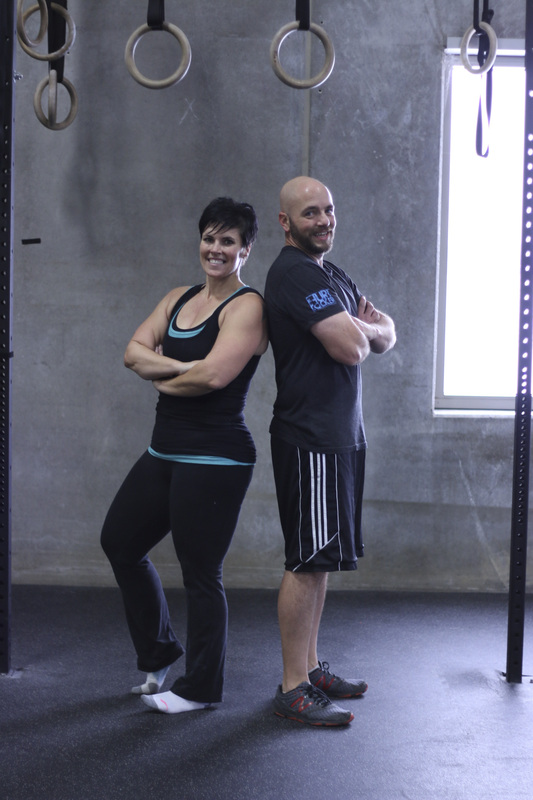 We know that all we need to do is show up for our WOD and you will take care of the rest.